Who says the elderly could only wait for their deaths? A group of them, averagely aged 70, are determined to break the stereotype. 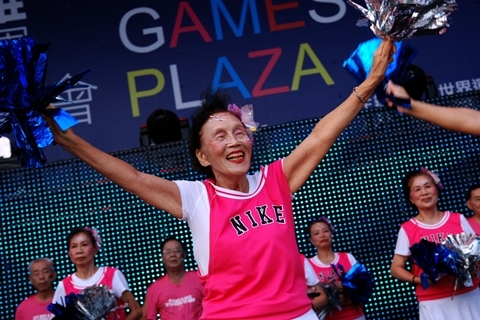 They not only formed a team of cheerleaders but fought for the opportunity to perform at the opening ceremony of the World Game in Kaohsiung in July 2009. Their 9-month preparation left not only them but their families the most memorable memories of their lives.